The Alphonso Mango Pulp, supplied by us, is processed from top-quality alphonso mango, which in enriched with vitamin C and antioxidants. With strong industrial experience, we make sure that the packaging is done as per the stated norms, by this; the products that we deliver are absolutely safe from the getting damaged. To easily organize and stack the entire lot of products in our warehouse, we have installed an automated warehousing system. It is supervised by our warehousing experts. 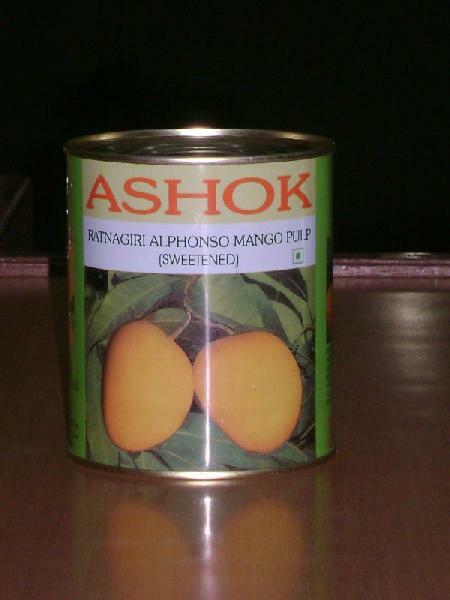 We are the leading supplier of Alphonso Mango Pulp available in 2 varieties. Sweetend and unsweetnd.